If you regularly shop at the farmers’ market, and eat with the seasons using our Seasonal Food Guide, then you’ve been eating a lot of apples, potatoes, squash and other hardy fruit and vegetables that keep all winter long. But with spring, we’re finally beginning to see the light. Suddenly it’s all spring greens, asparagus, leeks and peas, plus radishes and rhubarb for some pretty pinks. While spring isn’t quite the drop-everything-deliciousness of summer’s juicy tomatoes and sweet peaches, it’s a very welcome dive into fresh flavors. And these flavors generally go very well together, which is why you often see recipes combining them, like fava, fresh pea and asparagus salad; braised artichokes and leeks; or eggs with morels and ramps. Here are some of the in-season items you can enjoy for the next few months, either individually, or in combination. With so many other spring options, an artichoke’s thorny leaves and many-layered heart may seem like just too much work for the reward. But spring is the best time to enjoy them, since they are especially sweet and tender during this time. Because their leaves are not prickly, the baby ones are easier to prep, and can be used the same way the hearts are: steamed, grilled, fried, etc. Larger artichokes are often steamed whole and served with melted butter or aioli. The hearts can be deep-fried, marinated or used as a topping for salads, pasta and pizza. Get more information about cooking and shopping for artichokes in the Real Food Encyclopedia. Asparagus. By Stephanie Studer / Unsplash. Despite its year-round appearance in modern American grocery stores, asparagus is far tastier when enjoyed in the spring. While it’s generally recognized in its green version, this vernal veg comes in four varieties: green, white, purple and wild. Purple is said to be the most tender and sweet, while wild asparagus are the thinnest (the thinner the asparagus, the more tender it is). Asparagus can be cooked in a variety of ways — roasted, grilled, steamed or shaved thin and eaten raw — and is classically served with hollandaise sauce, topped with breadcrumbs in a gratin or puréed into a bright springy soup. Get more information about cooking and shopping for asparagus in the Real Food Encyclopedia. Fava beans have a short season, showing up as early as February (depending on where you live) and disappearing by early June. They look like massive green beans, and thanks to their double layer of thick exterior, they are kind of a pain to prepare. But the fresh, nutty flavor is worth the work, especially since you only have to do it a few times a year. Fresh fava beans are often paired with mint in salads, go very well with poached eggs, and can also be grilled for summery flavor in spring. And to cut down some of the fava bean prep work, you can substitute half the amount favas for asparagus, peas or another legume. Get more information about cooking and shopping for fava beans in the Real Food Encyclopedia. The curlycue coiled shape of the fiddlehead looks more like a decorative houseplant than a dinner ingredient. While fiddleheads are the shoots of fern plants, they are also edible, with a nutty, slightly bitter flavor that’s similar to asparagus. 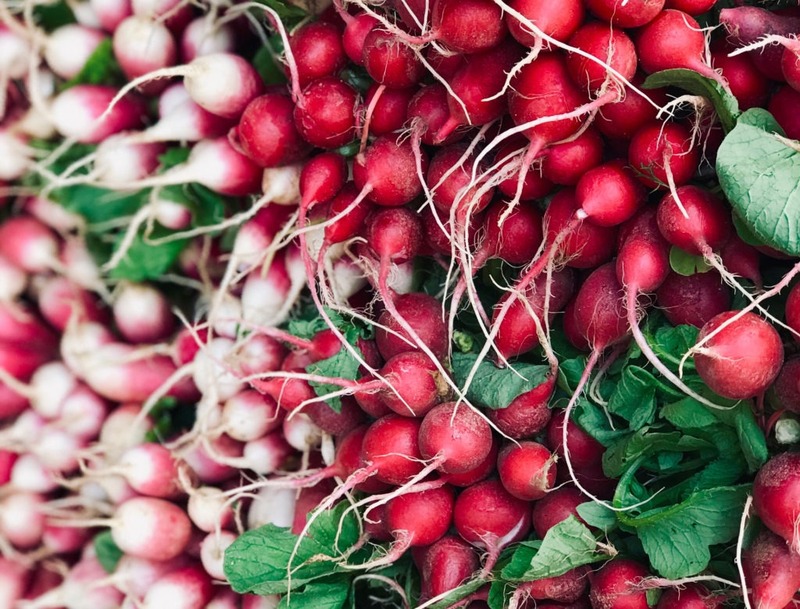 They are one of the very first veggies available in early spring in the Northeast, and are almost entirely foraged, so you will probably only see them at farmers’ markets and specialty stores. Fiddleheads are widely enjoyed in a variety of Asian countries. If you can find them, try using them in tempura as the Japanese do, in Chinese stir-fry, or in a Himalayan curry. Get more information about cooking and shopping for fiddleheads in the Real Food Encyclopedia. Sorrel. By Joy Fera / Adobe Stock. Spring greens are one of the earliest things you’ll see at the market, thanks to their ability to grow indoors quickly. There are a variety of greens harvested right now. Arugula is loved for its peppery bite, as well known these days in a classic salad as it is on top of pizza. Dandelion greens are actually a weed with a bitter flavor that many enjoy sautéed or braised. Because mâche is so hardy, it is naturally frost-resistant and can be grown in the earliest part of the season. Its mild flavor is wonderful in salads, soups or even smoothies. 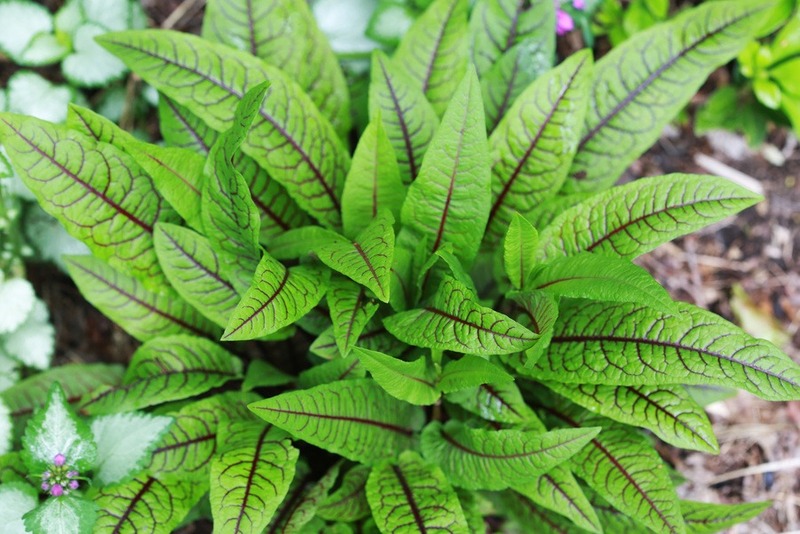 The bright red vein running through sorrel’s green leaves will catch your eye, and its tart, lemony flavor will catch your tongue. It can be eaten raw in salad, or cooked similarly to spinach. Try it in this beet-less borscht. Watercress’ lovely little leaves pack a crisp, peppery punch. It’s a bit delicate however, so this one is best enjoyed raw in salads or layered onto sandwiches. Get more information about cooking and shopping for lettuce in the Real Food Encyclopedia. Leeks are cousins of garlic and onions, with a mild onion-y sweet flavor. They grow well in colder temperatures, making them ideal for a spring harvest. Most recipes call for the leek’s white and light green stems, which are great braised, in recipes with goat cheese and blistered or grilled. Trim off the dark green parts, which are too tough to eat, and use them for making stock. Get more information about cooking and shopping for leeks in the Real Food Encyclopedia. Morels are like four leaf clovers. The rare, prized mushrooms can command upwards of $30 a pound, and spotting them is a lucky sign of the warmer weather to come. If you aren’t a forager (most morels are found wild), you’re most likely to find these guys at the mushroom stall of a farmers’ market or your local gourmet food store. Either way, keep in mind they must be cooked — morels are poisonous when raw. Morels pair well with tarragon, are often tossed with pasta or used as a pizza topping, and go really well with butter and cream. Get more information about cooking and shopping for morels in the Real Food Encyclopedia. Nettles, a roadside weed nicknamed “stinging nettles,” don’t necessarily sound enticing. But once soaked or cooked, they are actually delicious. The best time to harvest nettles (or buy them from an expert forager) is when they’re young and the stems are tender, sometime between late winter and early spring, depending on where you live. Nettles can be cooked similarly to spinach, in a breakfast frittata, tossed with pasta, stuffed in lasagna, or in a fun green shakshuka. You can also dry the leaves for tea or into chips. Get more information about cooking and shopping for nettles in the Real Food Encyclopedia. Pea pods. By @aleeenot / Twenty20. 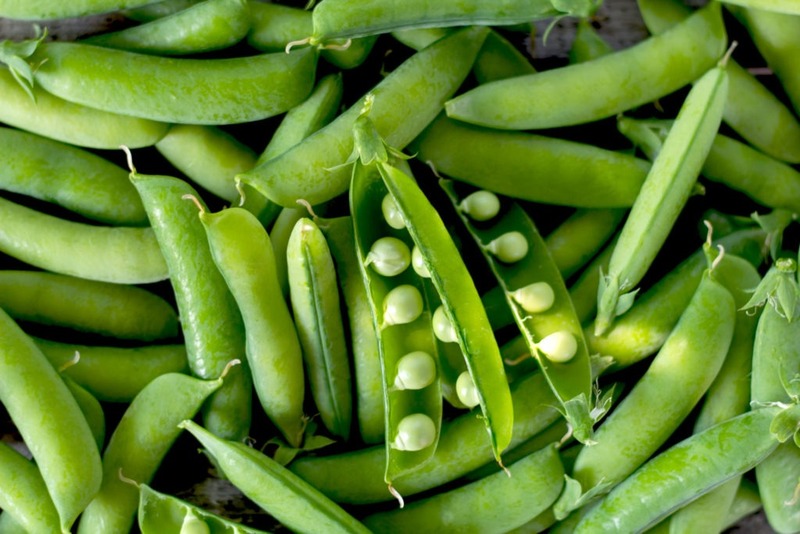 While frozen peas can be found year-long, fresh garden peas start popping up in April and you’ll find them at markets through June. Garden peas are often cooked with other spring vegetables like morels, leeks and fiddleheads. They can be braised with different meats, blanched and served crisp in salad, and puréed as a side dish. This time of year, you’ll also find delicate and beautiful pea tendrils and leaves at farmers’ markets; these are lovely added into salads or sautéed. Get more information about cooking and shopping for peas in the Real Food Encyclopedia. Radishes. By @nei.cruz / Twenty20. Not everyone is into radishes, and it is true that they can be tear-inducingly spicy. But they can also breathe fresh life into just about any dish: shaved on top of tacos, grilled or roasted, or dried crisp into chips. And spring’s colorful radishes are generally sweeter and crunchier. You can also serve them raw with dip or luxuriously coated into butter. Get more information about cooking and shopping for radishes in the Real Food Encyclopedia. Ramps have a very short season — from April to May — and are mostly only found at the farmers’ market. Much of their buzz (and yes, there really is ramp buzz) comes from their fleeting nature. A peppery and pungent cross between onion and garlic, ramps add bite to pesto, scrambled eggs or a springtime risotto, and can be used as a seasonal substitute for any recipe that calls for spring onions, scallions or garlic. Get more information about cooking and shopping for ramps in the Real Food Encyclopedia. Rhubarb’s pink and red stalks are quite sour, but it’s often cooked with sugar and aromatics to balance out the acidity. While it is actually a vegetable, rhubarb is one of the first fruit-like options to appear at the markets, starting as early as January, and is commonly used to make compote served with everything from ice cream and baked goods to roast meats. Rhubarb is also often paired with strawberries, which depending on location, can start to appear as early as mid-spring. Get more information about cooking and shopping for rhubarb in the Real Food Encyclopedia.